In the late 1960s and early 1970s, the John Lindsay administration in New York City created innovative policies to try to draw on-location media production to the city. At the same time, the New York City Planning Commission was producing a wealth of documents that clearly reflect the influence of various media depictions of New York. Imaginary Apparatus reveals the links between those two efforts, showing how they fed each other. As more and more films and TV shows were shot on location in New York, mediated images of the city and its buildings proliferated—and those same images exerted a powerful influence on the imaginations of the planners who were generating ideas for New York’s future development. Included with this book is a DVD featuring the movie What Is the City but the People?, the film version of the 1969 “Plan for New York City,” a unique document that has never before been publicly available. 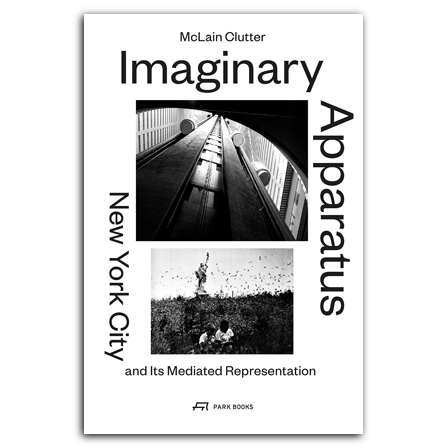 A groundbreaking exploration of a key moment in New York history, Imaginary Apparatus reveals fascinating hidden linkages between representations of the city and the actual built environment. is an architect and Assistant Professor at the University of Michigan’s Taubman College of Architecture and Urban Planning. He has also contributed to numerous books and journals.